In certain packages of Huggies wipes, there was a production error and the product was removed from the shelves last week. However, if you have in your house a four-pack of Huggies wipes without perfume, look at the number on the back of the package (see picture). If it ends with “981”, call 1-800-423232 or fill in your information on this page to have the product exchanged. Hod Hefer is having a run of (very) bad luck. In November they had an ammonia leak where a firefighter died. In January two of their workers were hospitalized with suspicion of avian influenza after handling turkey from an infected farm. 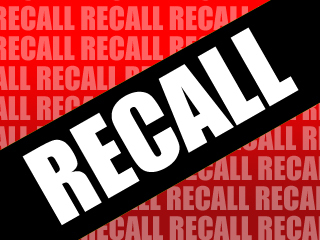 Now they are recalling their spicy frankfurters (נקניקיות חריפות) because of Listeria monocytogenes. Consumers are asked to refrain from eating this product and to return it to the store from which it was purchased to receive a replacement product. If you have any questions, please call 04-6349889. The public is advised not to consume these products and to return them to the store where they were purchased for a refund.